A marine surveyor offers advice based on more than 35 years of experience. 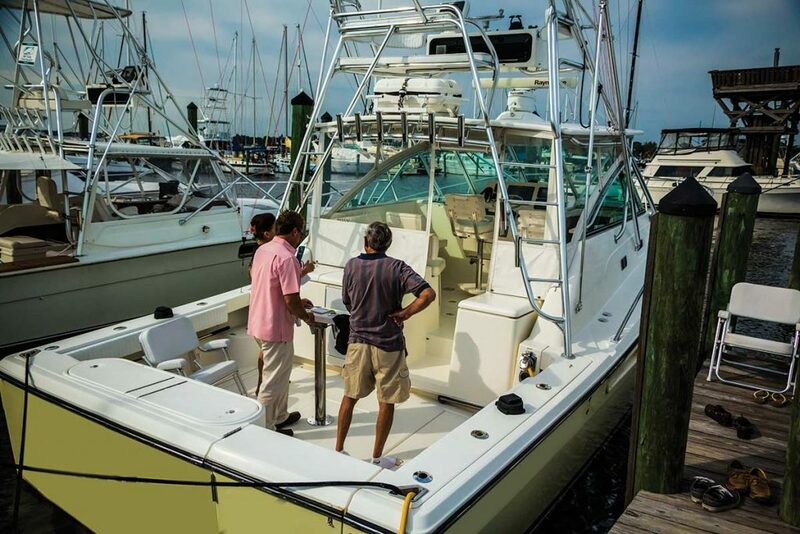 There’s a reason why sales of pre-owned boats outpace new purchases 10 to 1. They represent a heck of a good value, particularly when factoring in perks like depreciation and owner outfitting. The trick is finding the most boat for your money with the least amount of previous owner headaches. Here’s a look at three issues that can turn your potential dream boat into the proverbial hole in the water. 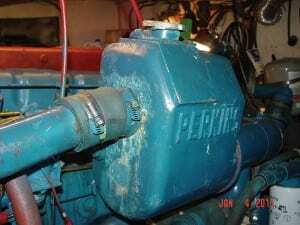 Engines are typically the most expensive piece of gear on board, and it’s a hard lesson to learn after purchasing that deal of a lifetime to discover a rebuild or replacement is required. Warning signs: Start by looking for obvious problems such as leaks, excessive rust, broken components, etc. Next, check coolant level and properties (for closed systems). Lack of antifreeze should be a concern (a possible indication of leaks) as would coolant with a rusty color or an unusual amount of solids. Pull the dipstick and check the oil. A slightly low level might be okay, but higher than normal levels could be a sign of trouble, especially if the oil is milky or frothy—an indication that water, antifreeze or transmission fluid is present. The cause of this could mean anything from a blown gasket to a cracked block. Is the engine difficult to start? Depending on the engine (gas or diesel), hard starting could be caused by anything from weak batteries to faulty plugs, fuel pump issues or bad fuel. How does the engine sound? Does it run smoothly at idle and under load, or does it idle unevenly and stall out when placed in gear? Rough running can be caused by anything from clogged fuel filters to compression problems, while engines idling at more than 800 rpm may have been set high to mask idling problems. Verify proper oil pressure and operating temperature. Low oil pressure could be due to anything from faulty oil pumps to cam bearing failure. High water temperatures may be something as simple as a failed impeller, but could also be caused by corroded manifolds or exhaust risers. Also, read the smoke signals. A well-maintained engine may smoke when it’s initially started or while idling but not when warmed up or under load. Smoke color can also provide an indication of problems (blue for burning oil, black for incomplete combustion, etc.). 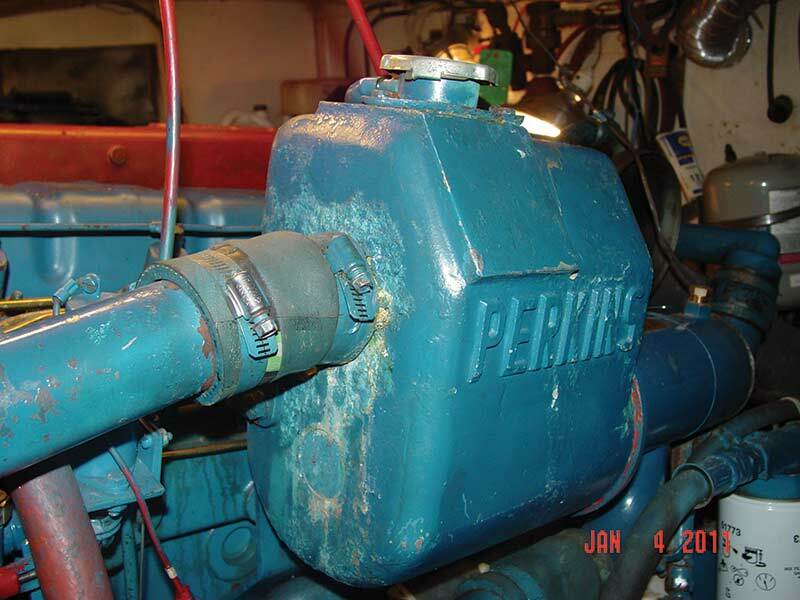 Red flags: Have the engine surveyed by a marine mechanic, then discuss repair options and cost. Engines are a big-ticket item, so always weigh the cost of repair or replacement versus walking away from what initially seemed like a great deal. Water intrusion into cored decking likely causes more boat damage every year than sinking, grounding and fire combined. Cored construction simply means you’ve got an inner and outer skin of fiberglass sandwiching some other material between them: balsa, plywood, foam, etc. The prime directive with cored construction is to keep water out, particularly with balsa or plywood. Wet wood coring can rot and allows the cored deck to separate, which drastically reduces structural integrity. Long-term water exposure causes problems with foam-cored decks as well: core separation, freeze damage and even disintegration in some cases. Warning signs: The first step in finding deck problems can be as simple as walking on them. Soft spots, oil-canning (flexing) or even water squishing from deck fittings are all indicators of a potentially expensive repair. Drips and brownish stains below decks are also common signs of water-soaked decks and rotting core. Sound out the decks by tapping them with a small plastic-headed hammer or the end of a screwdriver handle. Sharp, crisp sounds are what you want to hear, while dull thuds can be an indication of delamination. Moisture meters such as those available from JR Overseas (jroverseas.com) are also an excellent tool for sniffing out soggy decks. Red flags: While repair costs will be directly related to the size of the delaminated area, cutting open a deck for core replacement is rarely a cheap proposition. If a deck flexes like the bounce house you rented for junior’s birthday, run or get ready to lay out some serious cash. It’s a sad fact that some problems you’ll encounter are fresh from the builder or caused by improper aftermarket installations by the dealer. Warning signs: The sky’s the limit with the range and type of problems you’ll encounter. Common issues include holes drilled or cut into cored decks that aren’t properly sealed afterward against moisture entry. Windlass hawse holes are notorious for this. Also, inadequate backing plates for railings and cleats, unsupported wire runs, inaccessible fuel tanks, and lack of seacocks below the waterline thru-hull fittings—the list seems endless. Red flags: Here’s where a good marine surveyor is worth his weight in gold (marinesurvey.org). It’s the surveyor who, like crotchety old Aunt Emma did on your first real date way back when, picks and gnaws at your new love, ferreting out all those faults your own moonstruck eyes have overlooked. With survey report in hand, you can work with the seller to correct these issues outright, negotiate a reduced price or determine if it’s better to find a boat with fewer issues.